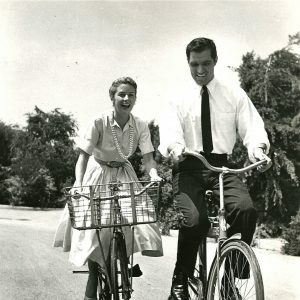 John Gavin and Cicely Evans ride bikes. 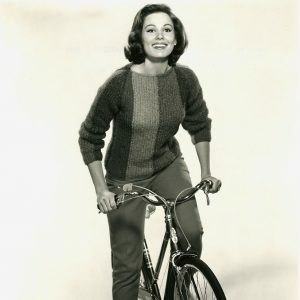 Jean-Claude Brialy rides a bike. Around Anna Karina’s apartment.